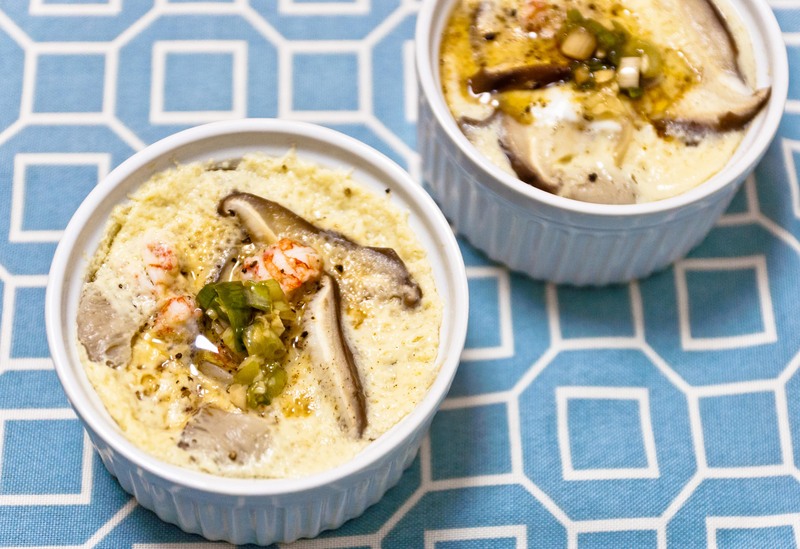 Dinner was quick tonight – steamed egg custard with shiitake and oyster mushrooms and langoustines. Unfortunately, it’s been a while since I have made this and with a few minutes too many, they ended up a little overcooked. Even so, the custard was full of umami flavors with the sweet langoustines and tender medley of mushrooms.